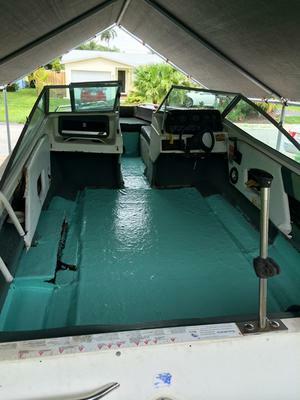 I have restored this boat from a the bottom up, including trailer, hull and motor. 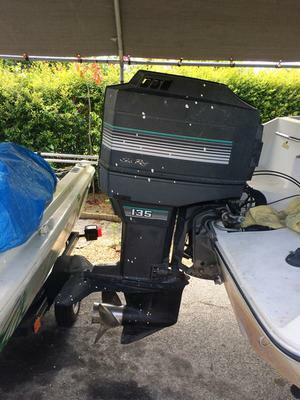 The single problem I have with this boat is the motor will not run. I will be willing to sell this boat for less than the amount of money I put into it. Total cost on this boat for me was approximately $3600. Not many more things can be done to fix this boat, however I am not willing to spend any more money on it since I will only be digging myself a deeper hole. I know this boat can run, because I had her running for a few months and then she died again. Any engine-knowledgeable human can probably figure out the problem in no time. I'm looking to get around $2000 for her. The few times I had with her out on the water were wonderful - but one mans junk is only another mans treasure. I have many more pictures and more detailed information about the hull restoration and motor rebuild that I will discuss with serious buyers.